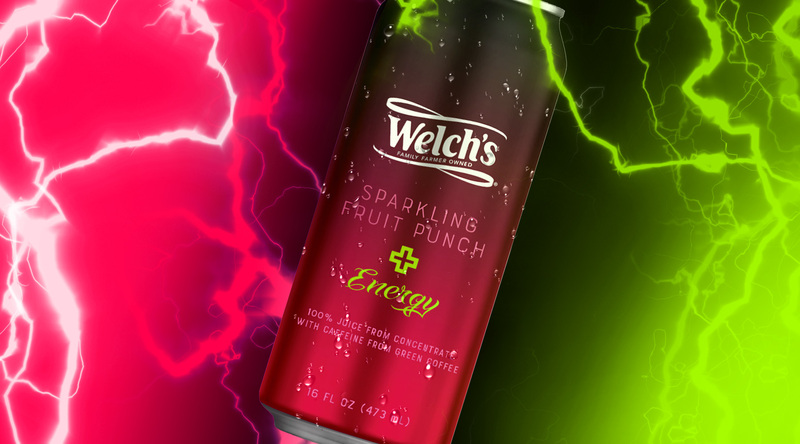 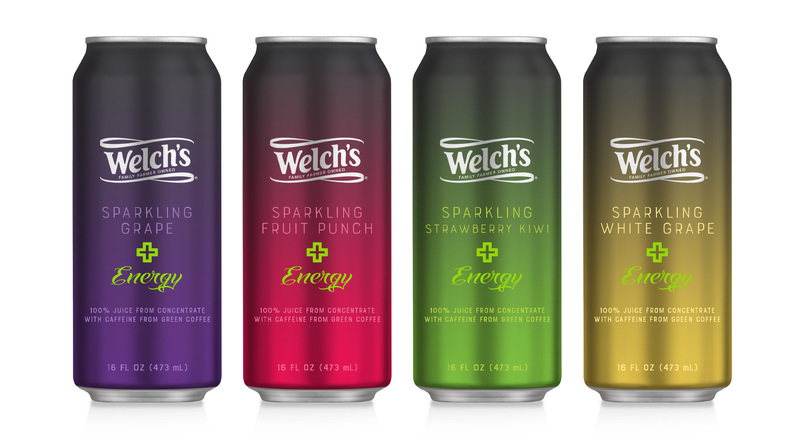 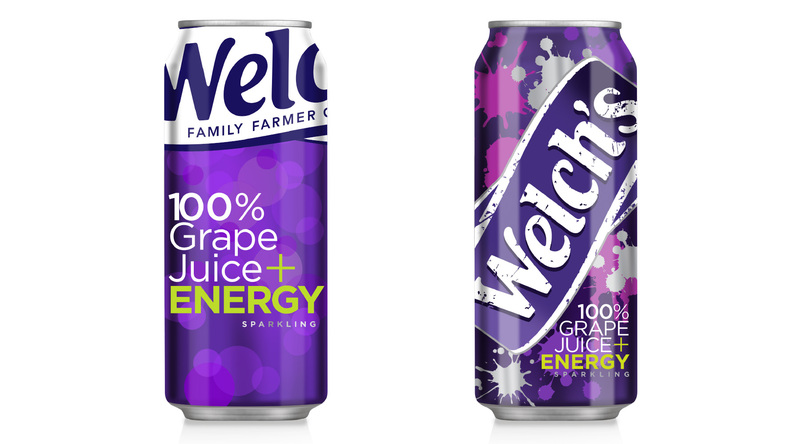 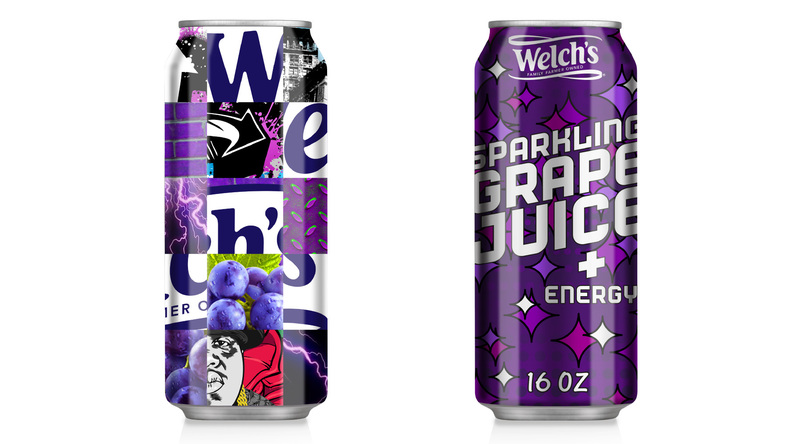 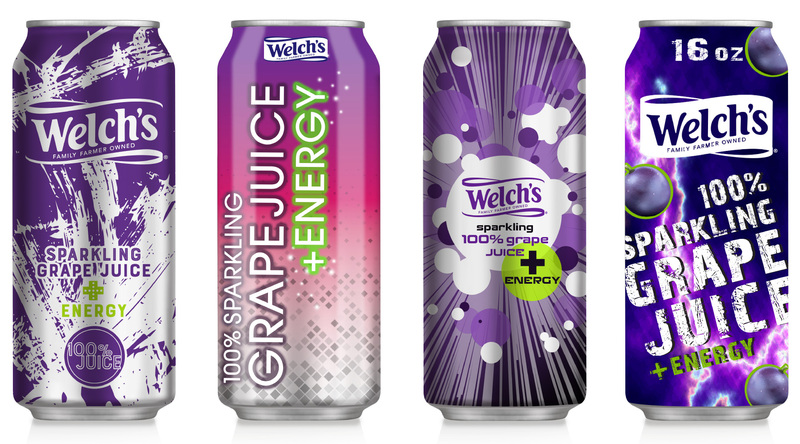 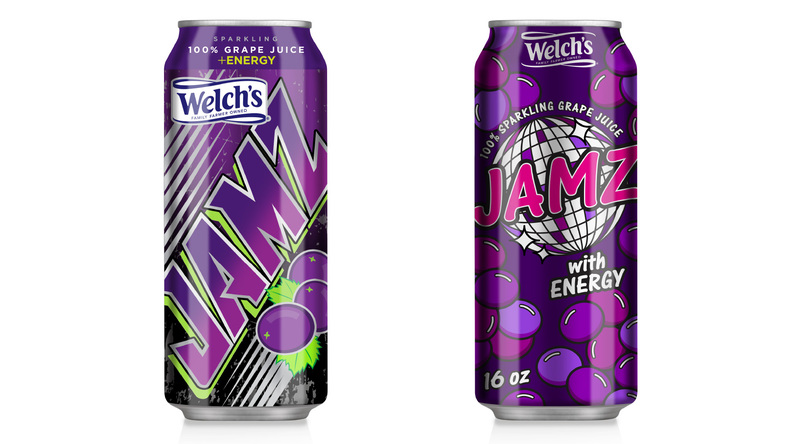 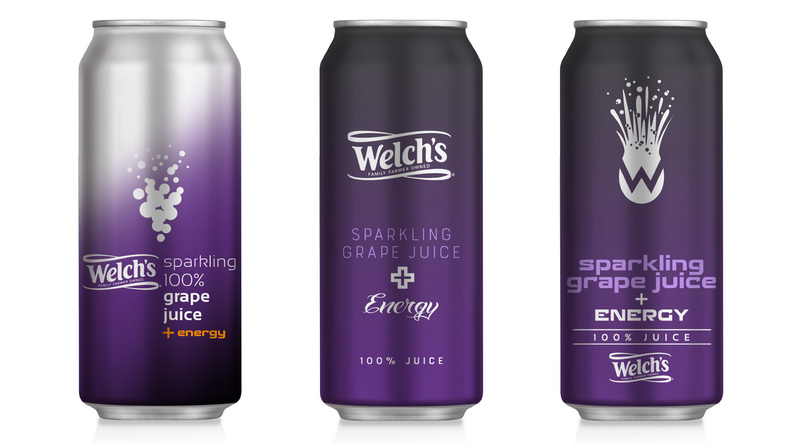 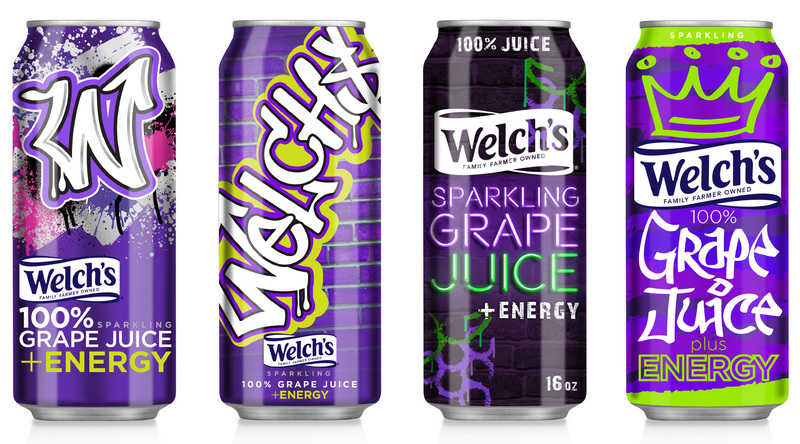 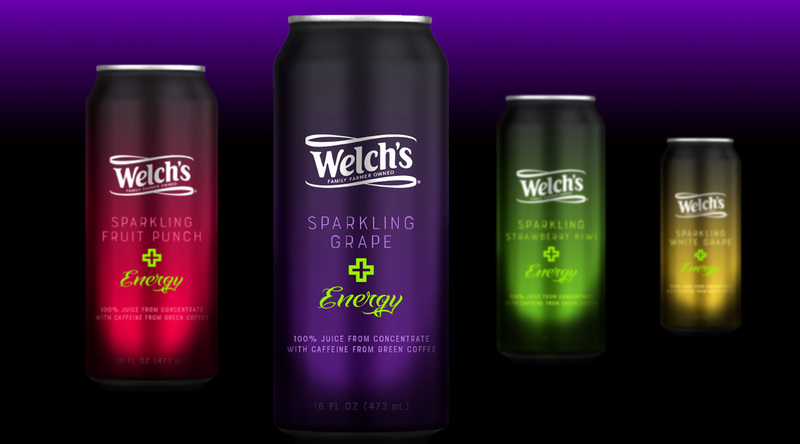 Welch’s sparkling juice infused with organic caffeine. 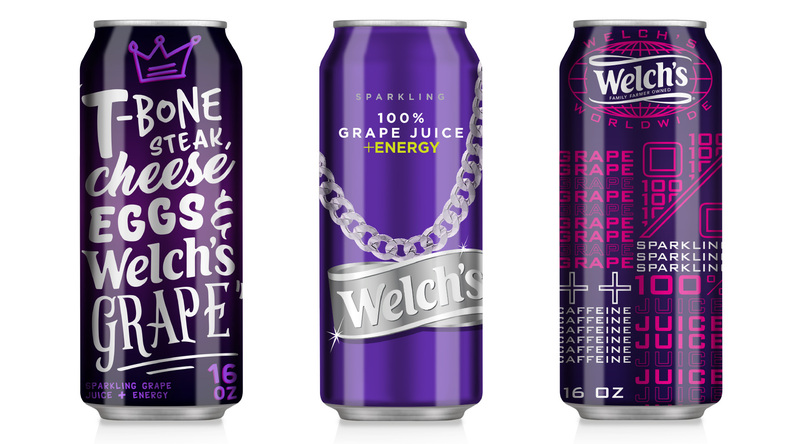 Quenching the soul of the urban, millennial consumer. 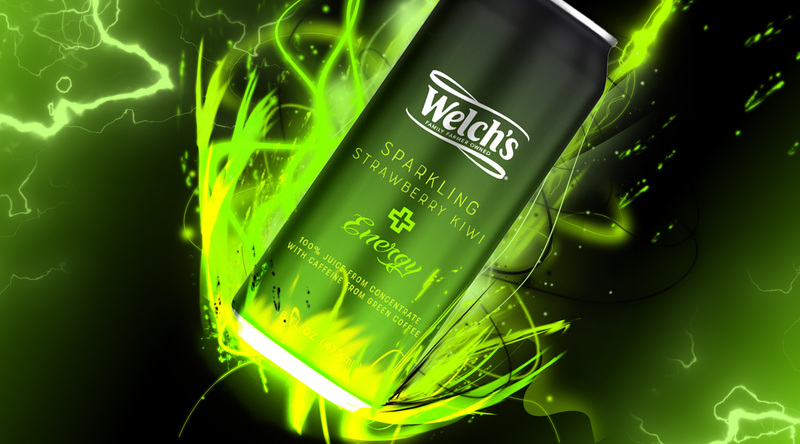 A matte black can fades to flavor colors and is the ‘calm’ in the chaos of the Energy drink section.